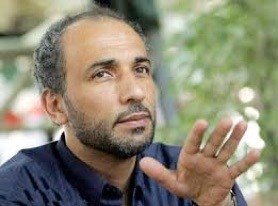 “The work carried out by Tariq [Ramadan] is totally in keeping with the purest traditions of the Muslim Brotherhood." Ramadan wants the legal extinction of Israel. DHS revoked his US visa in 2004 for his numerous connections to Islamic terrorism, but in 2010 the ban was lifted by Secretary of State Clinton. Fourest... demonstrates with great skill that Ramadan is a dangerous radical who, far from modernizing Islam, is in fact attempting to Islamize modernity... is poisoning the minds of young Muslims in the West. He spreads his message through personal appearances and with the sale of tens of thousands of cassettes through Tawhid, an Islamist publishing house with close ties to the Muslim Brotherhood.